SMART is an acronym for specific, measurable, achievable, relevant, and time-bound. By making a goal specific, and through the use of verbs or “action words,” it sets the stage for success. Remember, worry has no power. Action has power. How will your students know if they’ve met their goal if there is no way to measure it? Ask students to decide what they want to achieve and then to determine how they will measure if they’ve achieved it or not. A good example is to consider your senses--in other words, how will you feel or what will you see if you achieve your goal? After reading Into Thin Air, a book about a challenging ascent up Mt. Everest, my friend set the book down and said, “I want to climb Mt. Everest.” While commendable, I recall thinking, “let’s start with a hill.” While climbing a mountain certainly is attainable, it is best to break our goals down into manageable steps--like climbing a hill, prior to climbing a mountain. 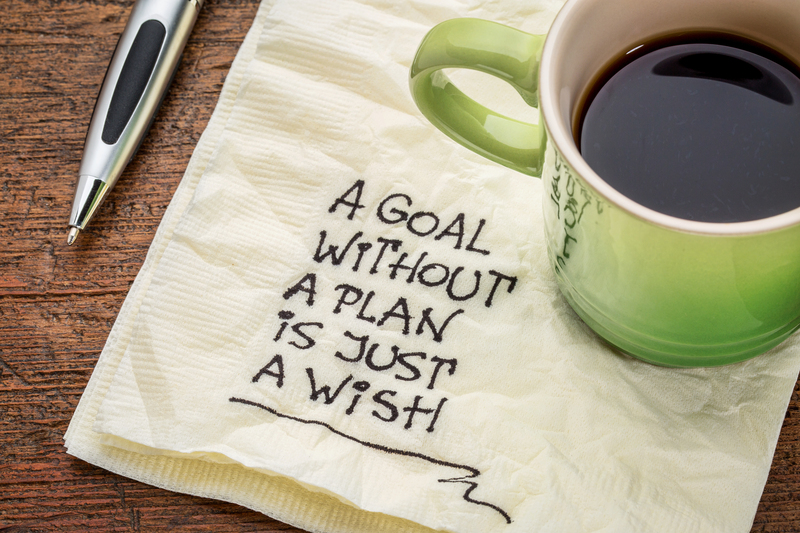 Ensure the goals your students set are relevant to what they want to achieve. If there is a skill they want to learn, does it make sense for them to learn it? How can you guide them to find the goals that make sense for what they wish to accomplish? Time waits for no one, this we know. It has been said it takes 30 days to create a habit. One way to create a positive habit--or to achieve a goal--is to focus on what you CAN do versus what you CAN’T do. For example, if you want to drink more water, focus on filling up your cup, not on the fact that you can’t have a Diet Coke. Heard about the One Word movement? Stunning in its simplicity, we were immediately drawn to the idea, and know students will like it, too! Charcuterie. Yes. That’s his word for 2019. 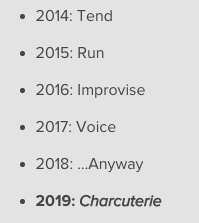 To find out why he picked charcuterie (a meat and cheese tray) as his one word for 2019, here is his blog. All goofiness aside, the one word trend has taken off--and is a straightforward tool your students can use to guide their year. As we talked about different ways to help teachers help students, we decided to create two tools teachers could use to help them identify and SEE their goals on paper, and a place where they could capture their “one word.” If they are littles and don’t know how to write yet, they can draw their goals! The first tool is the “My Goals” sheet--ready to download and print and use with your students. The second tool is the “My One Word” sheet--also ready to download and print for use with your students! Whether you are a goal-scoring soccer player or a teacher looking for tools to guide your students through 2019, we wish you the best as you work with your students to achieve their goals, both on the field, and off. 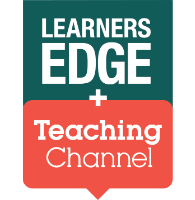 For more great learning opportunities from our teachers at Learners Edge, try out our Continuing Education Courses!